Getting the most out of your Dodge or RAM requires that you maintain the correct tire pressure. Tire inflation can impact fuel economy and overall performance of your vehicle, but how do you know if your tires are inflated properly? Is underinflation really that bad? And what happens when your tires are overinflated? Here’s what you need to know about tire pressure. Seasonal weather pattern changes lead to changes in tire pressure. When temperatures drop, air compresses, leading to underinflated tires. Even a small pressure loss can affect your vehicle’s handling and performance. Vehicles with underinflated tires experience a loss of steering precision and cornering stability, as well as decreased fuel economy. For every one psi drop in pressure, your gas mileage is lowered by 0.4%! Low tire pressure can also increase the likelihood of tire tread separation. If tread separation occurs while driving, you can completely lose control of your vehicle! So, if underinflated tires lead to more difficult handling, some reason that overinflating their tires will provide more responsive handling and better fuel efficiency, but this is not the case. Overinflated tires are more susceptible to damage caused by driving over potholes or debris in the road. When tires are overinflated, the center of the tire wears out at a faster pace than the outer edges, they might only last half as long as they would if inflated properly. Check your tire pressure often, as over-inflation is common during warmer months when air expands. 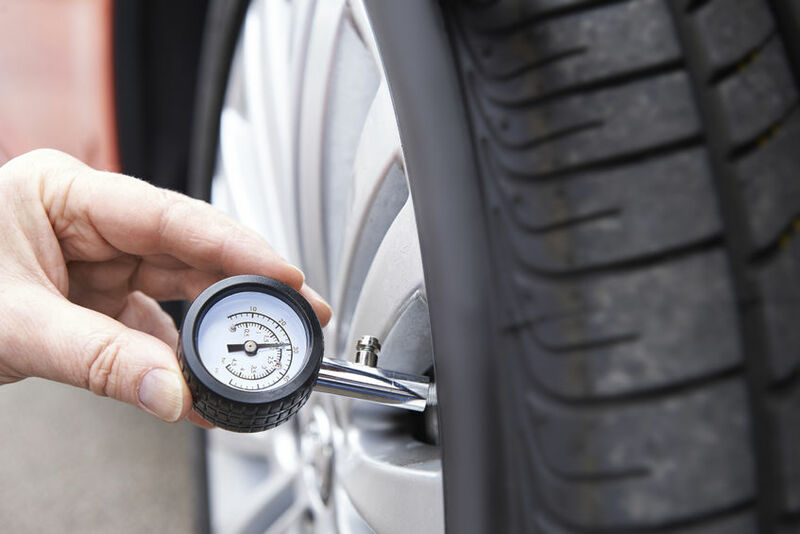 To get the most out of your vehicle, it’s important to maintain the proper tire pressure. Most automakers specify their recommended tire pressure, you can find this on a sticker in the doorjamb or in your owner’s manual. The manufacturer suggested tire pressure is based on extensive tests and analyses for each specific model. Never judge tire pressure by just eyeballing the tire, check your tires with a quality air gauge, at least once a month. It’s more difficult to control a vehicle with underinflated tires, and tires that are overinflated wear out quickly, so be sure to stick with your vehicle’s manufacturer recommended psi, no higher, no lower. Get the most out of your Dodge or RAM, and if you ever need maintenance or service, be sure to contact the Melloy Dodge service department for fast and professional repairs or maintenance.